MONDAY, Oct. 30, 2017 (HealthDay News) -- The Trump administration's repeated efforts to topple Obamacare have not thwarted the program's annual enrollment for health insurance. Starting Wednesday, consumers may renew their coverage or join a new plan for 2018, though the ease of enrollment may depend on what state they call home. This year's open enrollment follows a recent decision by the Trump administration to pull the plug on federal payments to insurers, which were meant to offset the cost of providing health plans featuring reduced cost-sharing requirements for low-income Americans. "Obamacare is finished. It's dead. It's gone. There is no such thing as Obamacare anymore," President Donald Trump declared during a Cabinet meeting this month. In reality, Obamacare -- or the Affordable Care Act -- remains the law of the land. 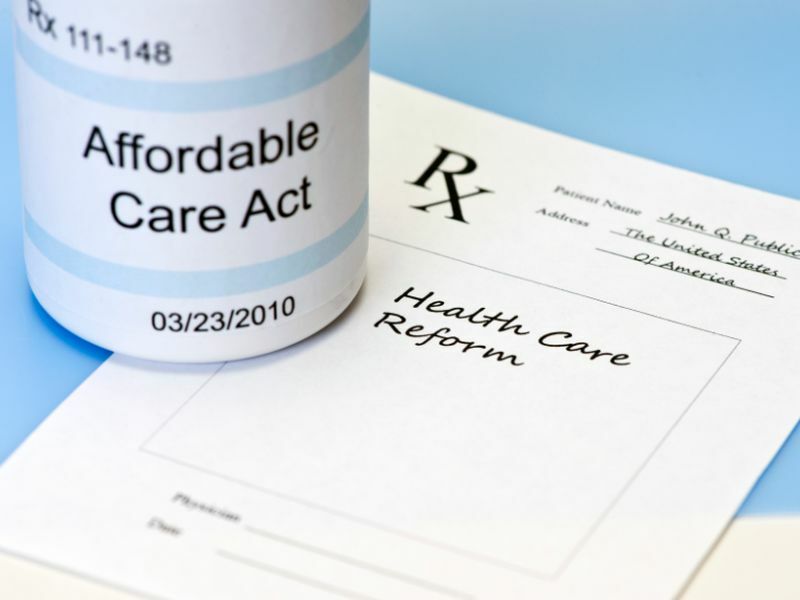 But with the Trump administration's attempts to repeal the Affordable Care Act, cutbacks in public outreach and a shortened sign-up period, health insurance analysts and consumer advocates expect this year's enrollment period to be particularly challenging. "The challenge for us this year is going to be breaking through that confusion and complexity, and the anxiety that people are feeling not knowing what their options are going to be, assuming that this is something that's not going to be around much longer, hearing that the marketplace is failing," said Emily Beauregard, executive director of Kentucky Voices for Health. The task is made even more difficult in Kentucky, where Republican Gov. Matt Bevin campaigned on a promise to close Kynect, the state health insurance marketplace. In 2016, he did just that. Kentuckians who want individual or family coverage can still enroll in a plan through the federally run Healthcare.gov website, but some incorrectly assume the coverage is gone, Beauregard said. States that handle their own health plan enrollment and consumer outreach may face fewer obstacles. New York, for one, has preserved funding for advertising and in-person enrollment assistance. In addition, the state has elected to extend the open-enrollment period through Jan. 31, 2018. Donna Frescatore, executive director of the New York State of Health, the state's official health insurance marketplace, said, "Our message to consumers is that we're open for business, that there's plan choice in every corner of the state and that, for many, premiums will stay the same or even go down for 2018, so we want them to shop." Plan choices. Many consumers will have fewer health plan choices for 2018 because insurer participation has waned amid uncertainty about the program's future. According to an Avalere Health analysis, nearly half of all counties will have just one insurer from which to choose. Current contracts allow health plans to exit the market "in accordance with state and federal law," said Elizabeth Carpenter, a senior vice president with Avalere Health. That loophole was triggered by the government decision to stop making payments to insurers for reduced cost-sharing plans, she explained. While there's "a small possibility" that a plan could decide to drop out in 2018, Carpenter doesn't think insurers want to leave people "in the lurch." Premiums. More than 80 percent of consumers who buy Obamacare plans receive premium tax credits to help them buy coverage. Those subsidies rise to offset premium increases. That means most buyers won't feel the pinch of rising premiums. But if you're among the 20 percent who earn too much to qualify for those tax credits, you'll bear the brunt of premium increases. Popular "silver" level health plans will rise by 34 percent, on average, in 2018, according to Avalere's analysis of rate filings in Healthcare.gov states. Caroline Pearson, senior vice president at Avalere, said in a statement: "Plans are raising premiums in 2018 to account for market uncertainty and the federal government's failure to pay for cost-sharing reductions." A U.S. Department of Health and Human Services spokesperson said in a statement that the department "is carefully evaluating how we can best serve the American people who continue to be harmed by Obamacare's failures." Of course, rates vary by state, region and health plan, so health advocates urge consumers to compare rates. In New York, consumers who receive premium subsidies can expect rates to remain flat or lower than in 2017, Frescatore noted. For higher-income individuals who do not qualify for that help, the average increase is 14.5 percent. Timing. The 2018 open-enrollment period will end weeks earlier than usual. Most consumers must complete the process by Dec. 15, although some state marketplaces have extended their enrollment period.